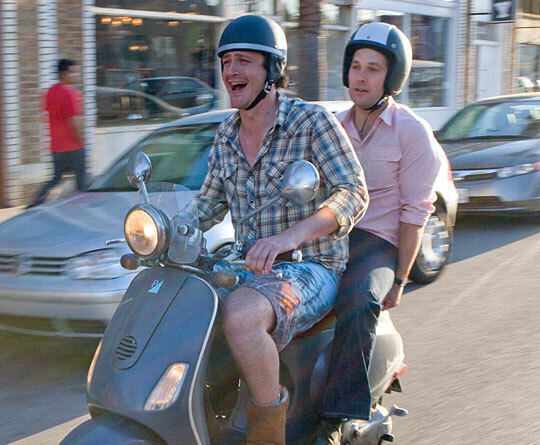 Jason Segel (left) and Paul Rudd (right) strike up an unlikely friendship in the new film I Love You Man. Actor and writer Jason Segel plays a sexist, slovenly slacker from Venice Beach in the new "bromantic" comedy I Love You Man. The film stars Paul Rudd as a man on a quest to find a best man for his wedding. After embarking on a series of "man-dates," he decides on Segel's character. Segel's previous credits include roles in the TV series Freaks And Geeks and How I Met Your Mother. He also wrote and starred in the film Forgetting Sarah Marshall.